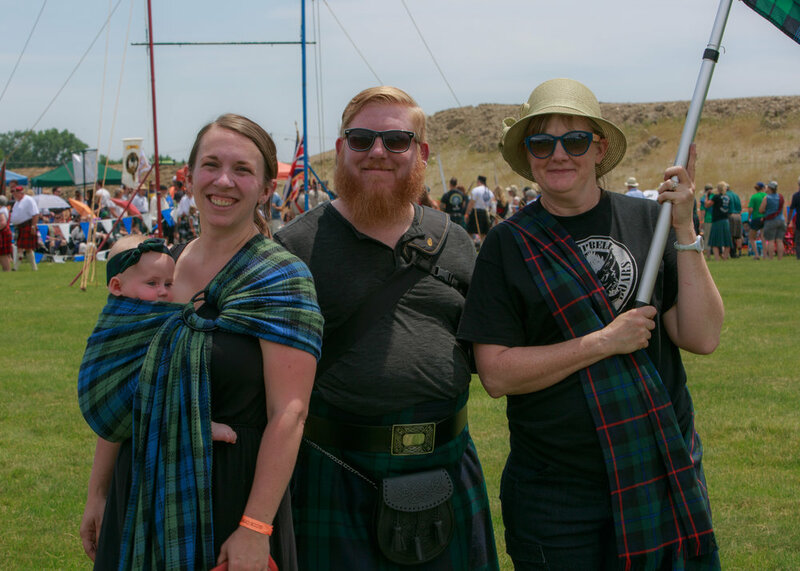 The Parade of the Tartans (includes organizations) will be held on Saturday, June 15th from 12:30 p.m. to 1:00 p.m. around the Heavy Athletics Field. The Color Guard will lead the Pipe Band, Honored Clans, then remaining Clans march in the parade. We recommend that you carry large signs/banners with your names. 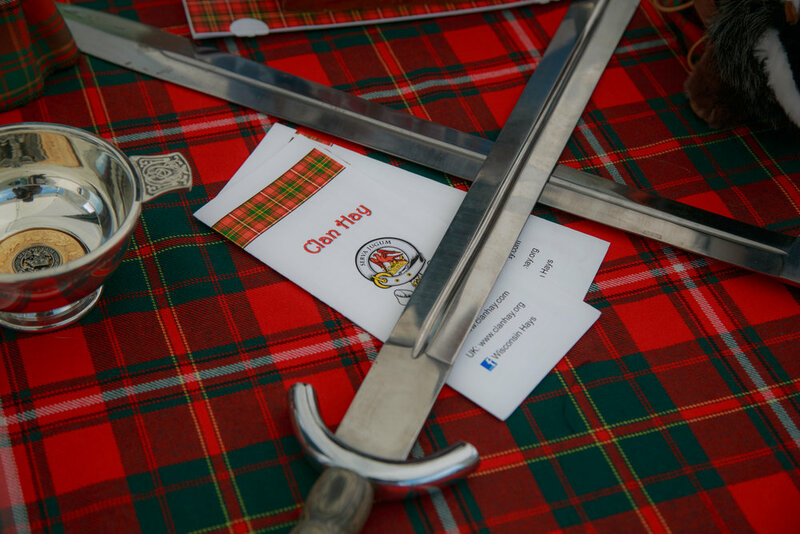 Awards are distributed for Honored Clan, Best Tent Display by Clan, Best Tent Display by Society or Cultural Organization, Pageantry in the Parade of the Tartans and Best Military Presentation in the Parade of Tartans. All applications must be received no later than May 24, 2019. Exhibit space, table and chair rental must be pre-ordered. Additional tables/chairs will not be available at the festival. You can bring your own tent. You can arrive to set-up Friday, June 14th between 8:00 a.m. and 1:00 p.m. or Saturday, June 15th between 6:00 a.m. and 7:30 a.m.
You will be mailed parking pass and tickets. Parking pass placed in your vehicle windshield. When you arrive, have in windshield parking pass for 150 pierce parking lot. General attendees will not have access to this entrance. Take tickets for those arriving separately to the Admission Gate Will Call. Additional vehicles will need to pay for parking in the main parking lot(s). For each 12' x 12' exhibit space, you will receive two admission tickets and one complimentary parking/unloading pass. If you purchase a space larger than 12' x 12', you will be issued one extra admission ticket and one additional parking pass per each additional space. Additional tickets can be purchased online or at the gate. Vehicles WILL NOT be permitted on festival grounds during hours of operations. You WILL NOT have access to drive past the Admission Gate Friday after 1 p.m. or Saturday between 7:30 a.m. and 7:00 p.m., upon completion of the Closing Ceremonies. Security will be on-site. Flatbed cars may be available depending on availability. Overnight campers are NOT permitted.